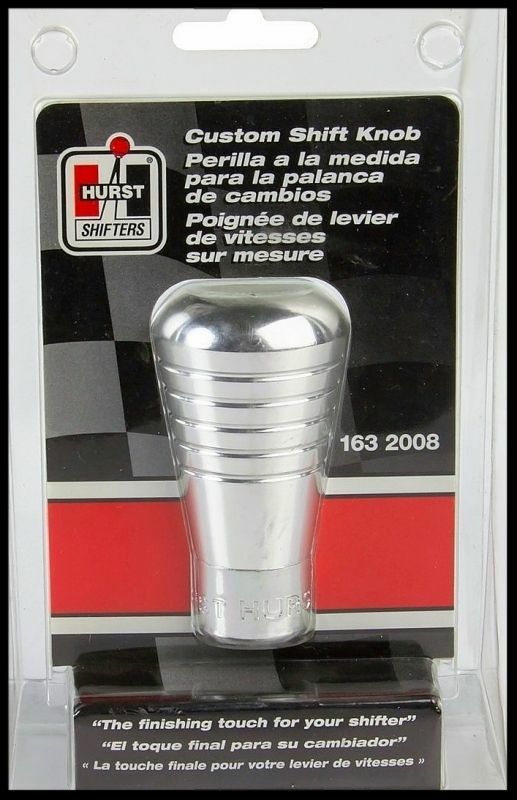 Hurst Round Tapered Aluminum Billet Style Shift Knob - 163-2008 CLEARANCE !! Brand new in the blister pack. 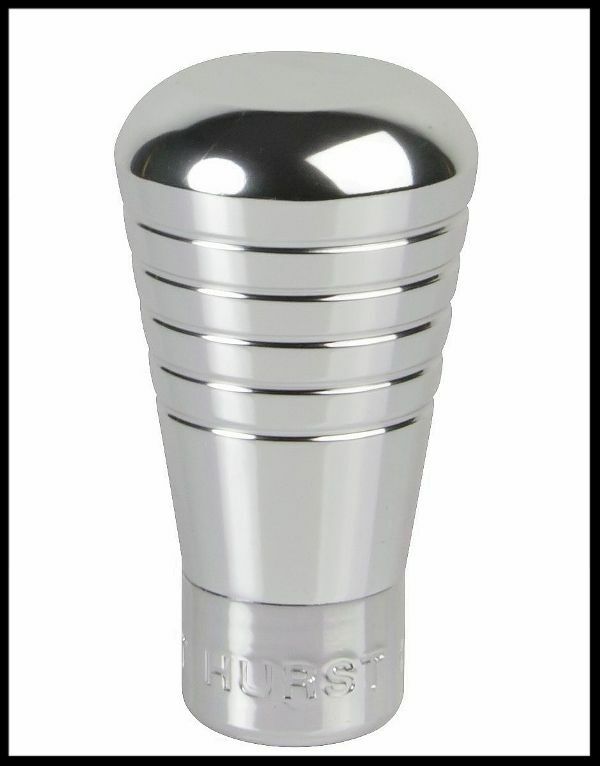 Hurst's custom shift knobs add style to your vehicle's interior. Made of high-grade materials and they're easy to install! Notes: Fits all 1/4 in. to 9/16 in. shifter handle threads. Hurst tall aluminum billet custom shifts for manual floor shifters combine a sporty look with race car feel and are the ideal compliment to any vehicle's interior. 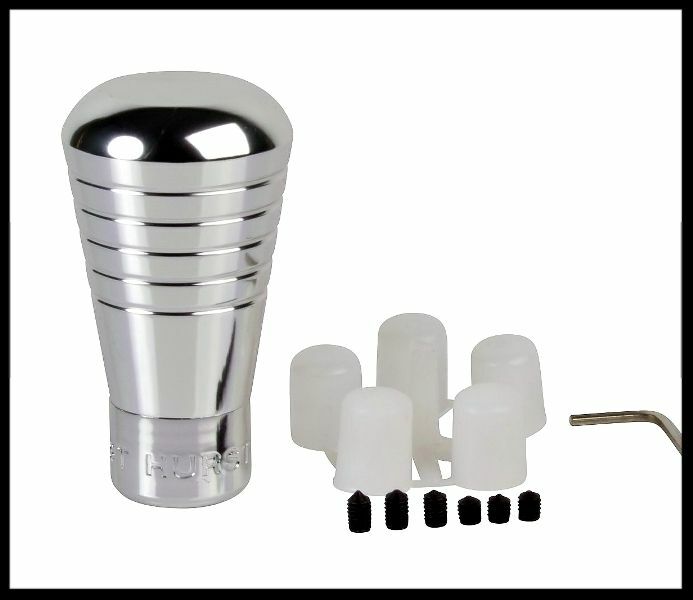 These tall custom knobs are quality made from only high grade materials. They are easily installed and are a very affordable value. These knobs are for most popular vehicles with factory mounted manual floor shifters. Custom shift knob fits all 1/4 through 9/16 shifter handle threads. As you know, we have many different items with the key words "60% off" in the title. This is a one time closeout price. We have a limited quantity available, and when they're gone, we will not be able to obtain these at this price. Some of the items are actually more than 60% off, such as this, but for ease of searching, we use the the term 60% off. The half price shipping for additional items can really bring down the overall price of your items, so do a search on all of our 60% off items before finalizing your purchase. We often have dealers purchase large amounts at a time of our 60% off items, so they don't last long. This item retails for approx. $29.95 at other major performance sellers!